✅DIRECT FIT Ford F-150 BUMPER CAP REPLACEMENT. Fits 2009/2010/2011/2012/2013/2014 Ford F-150 King Ranch/Lariat/Platinum/STX/XL/XLT, NOT COMPATIBLE with Harley Davidson, SVT. ✅Front Bumper Pad Replace OE Part: FO1053100. ✅Durable grade thermoplastic, Installs the same as factory unit, Same quality as OE for less. Bumper covers approximately 13.1"x 5.7"L*W.
✅Direct replacement and No vehicle modifications required. 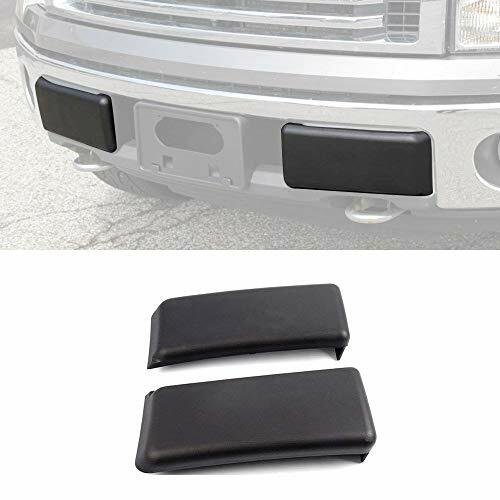 Perfect aftermarket Front Driver and Passenger Side Bumper Pad Set. Same dimensions as OE part. If you have any questions about this product by Winunite, contact us by completing and submitting the form below. If you are looking for a specif part number, please include it with your message.